He’s weirdly proud of what I do…though I think he likes to tell people I’m the editor of a magazine just so he can tell them he’s been published in my magazine. Twice. It’s the little things that make me smile. And the fart-y and laugh-together-about-Papa things that make me realize we may have slipped into a very comfortable place. How I’ve waited to be in that place! This weekend my mom dropped off a few old photos she’d found at Papa’s house. 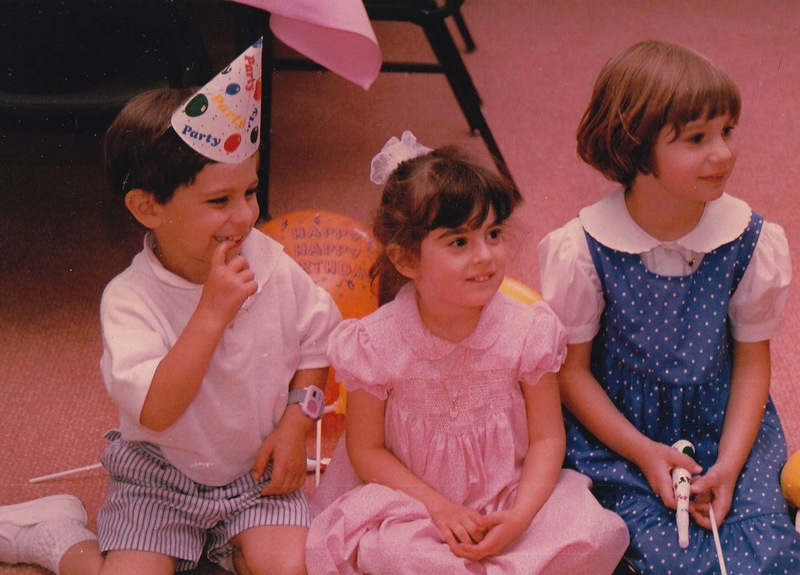 I think I was probably five or six-ish and must have been at a birthday party. 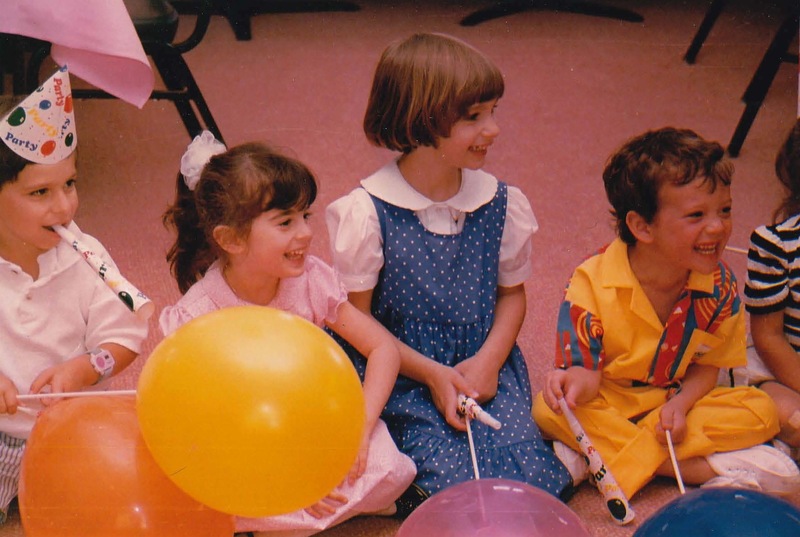 That’s me in the blue polka-dotted dress. The girl to my left in the pink dress is my friend Alix. We probably met when we were babies. To my right is Eric. I went to school with him through high school. And that’s my little brother Ian (who’s tall and not chubby anymore! 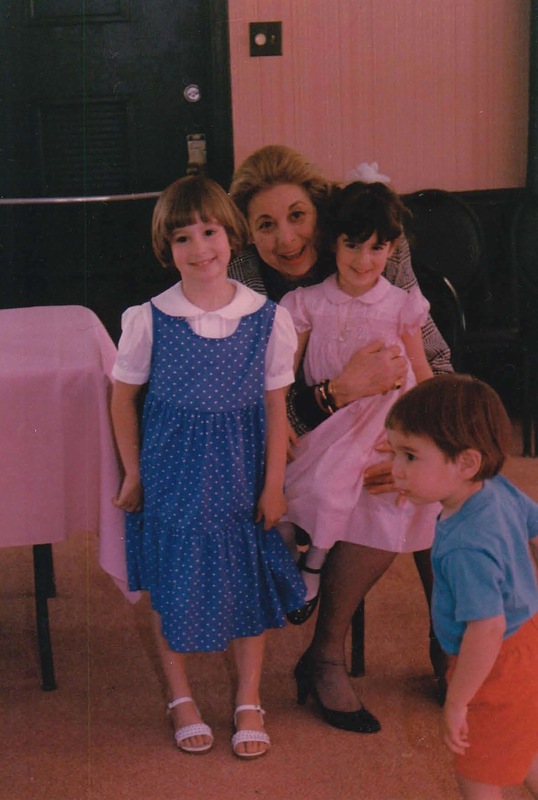 ), and me and Alix with Mimi, my grandmother and Papa’s wife. She died when I was in seventh grade. I miss her so much. She was this kind of intimidating, really giving lady that held our family together in a matriarch sort of a way. She kept the kitchen stocked with Milanos and Veronas, and the candy jar in the den was always full of Jelly Bellies. Wasn’t she so beautiful?